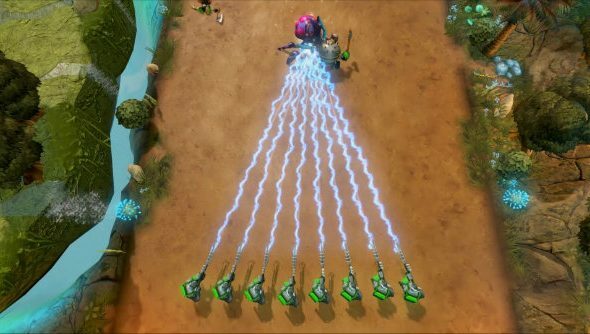 A Kickstarter has been launched for the successor to popular Warcraft 3 mod Legion TD, a mod that inspired StarCraft II’s Squadron TD and Dota 2’s Legion TD: Reborn. Legion TD 2 will be free, but while you’re waiting why not work through our list of the current best free-to-play PC games. This standalone version of the competitive tower defence game comes from the two-man team behind the original mod, so they certainly know what they need to do to build upon their original creation. It looks like an interesting twist on the genre. The closed beta will launch later this year with four playable races and over 50 different fighters. It will run for a minimum of six months before it is opened to the public, and then the developers plan to keep supporting and tweaking the game “for years to come”. You can vote for LTD2 on Steam Greenlight, or even pledge to the Kickstarter, if the first competetitive tower defence game on PC sounds like your sort of thing.